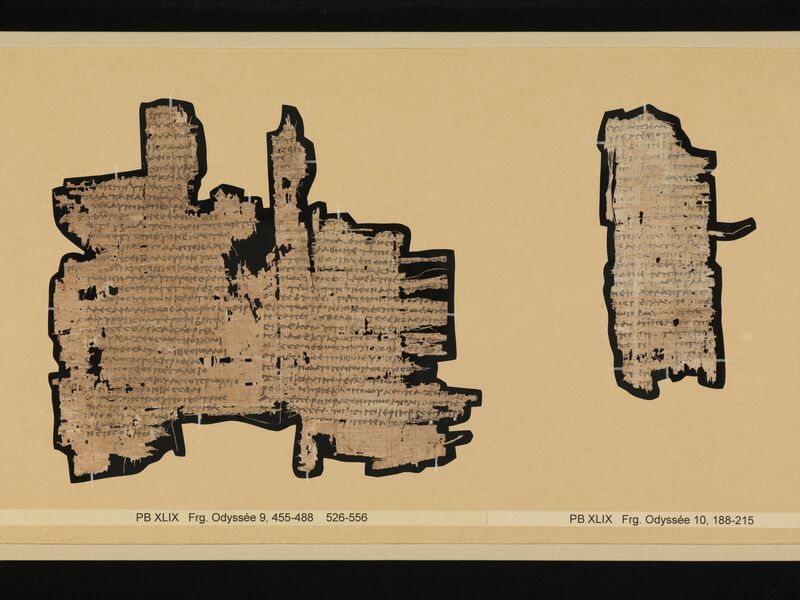 Description: Description: These two fragments of papyrus extracted from mummy cartonnage partially preserve books 9 and 10 of Homer’s Odyssey copied along the fibers (→). 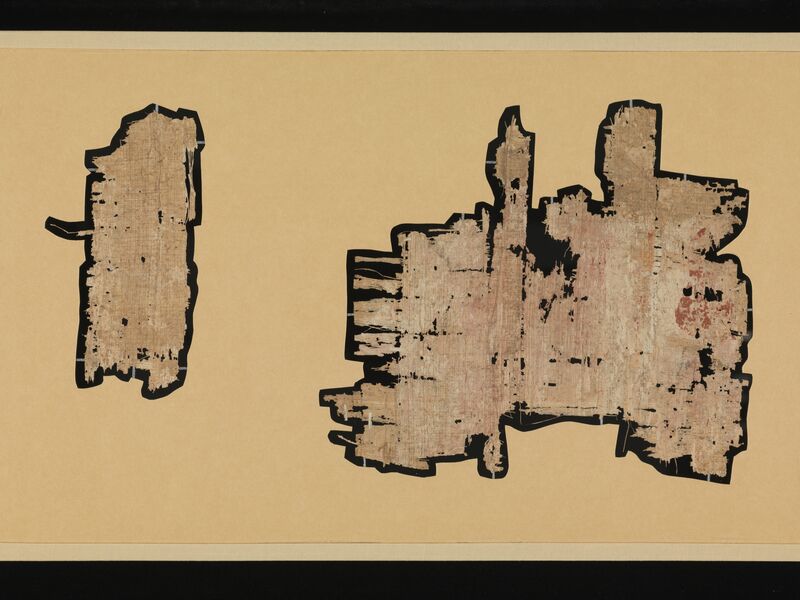 The back of the papyrus (↓) is blank with traces of colored paint. The larger extant fragment measures 18.0 cm high, 16.5 cm wide. The fragments were extracted from mummy cartonnage. No definite information about acquisition of the cartonnage is known. 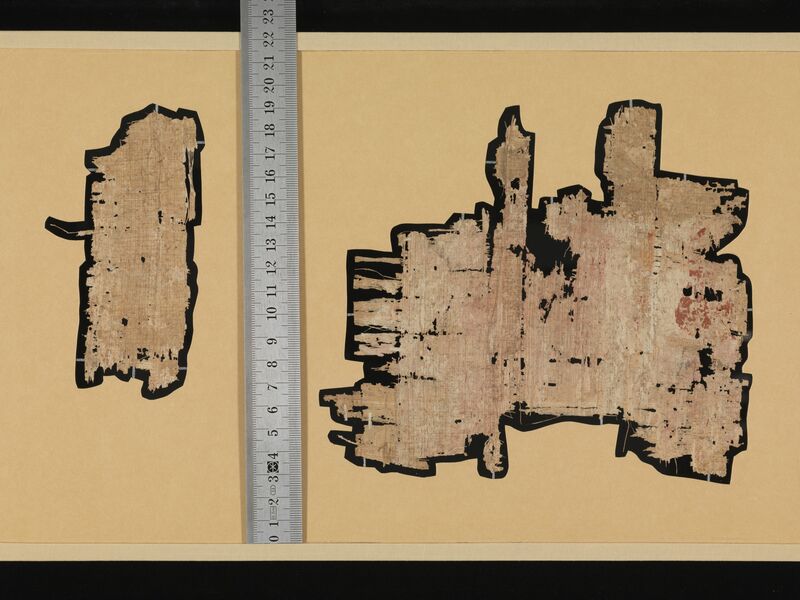 Hurst suspected that Bodmer had acquired these pieces before the bulk of the Bodmer papyri proper: “Martin Bodmer l’avait sans doute acheté avant d’acquérir le lot qui fait la célébrité des papyrus Bodmer” (Hurst, “Papyrus Bodmer 49,” 221). VolumeThe roll was at least at least 34 cm high. It is not possible to determine the original length of the roll. The width of the written column varies, as the text is a verse composition. The column to column width is 7.9 cm. Paratextual features: A single marginal notation is visible at book 9, line 458. The papyrus was reused for mummy car tonnage and shows traces of paint on its reverse. Hurst, André. “Papyrus Bodmer 49: Odyssée 9, 455-488 et 526-556; 10, 188-215.” Museum Helveticum 43 (1986), 221-230. Huys, Marc. 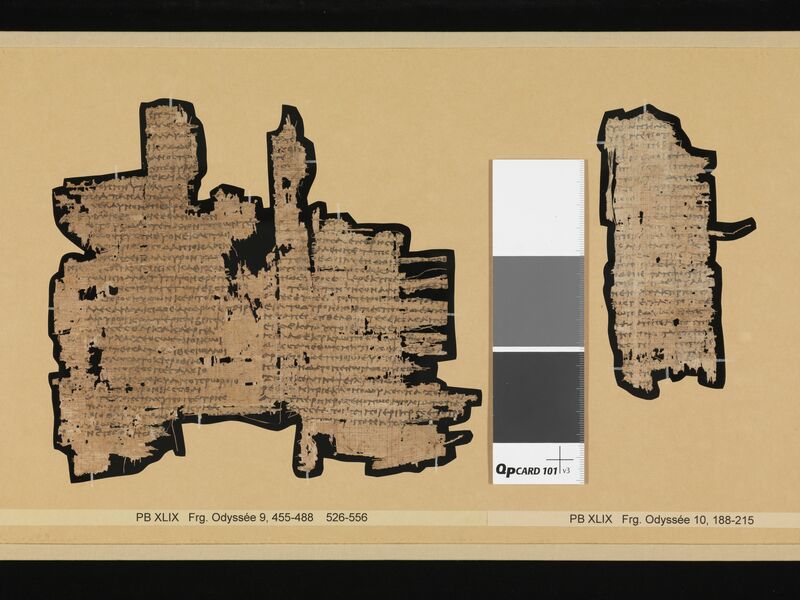 “A Ptolemaic Odyssey Papyrus in Louvain (P. Leuven 1987.01: κ 185-195).” Ancient Society 19 (1988), 61-69.